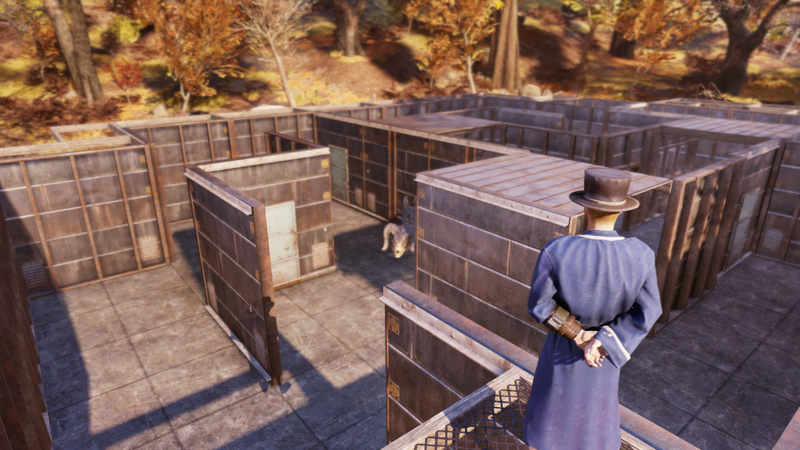 As spotted by Gamesradar, a player named Korindabar has constructed a maze in Fallout 76 out of concrete and scrap metal. Other players are invited to try to solve it in exchange for prizes. Korindabar accomplishes this by wandering the map and greeting new, low-level players, throwing all manner of welcoming emote at them until they start to follow him. He then leads them back to the maze, opens the door, and ushers them inside. 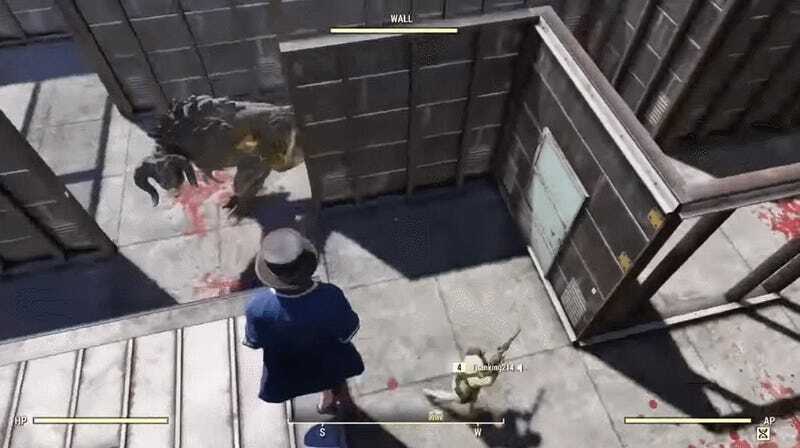 Taming wild animals is one of the many side activities open to high-level players in Fallout 76. It requires maxing out two perk cards: Wasteland Whisperer, which gives you a chance to pacify enemies every time you shoot them, and Animal Friend, which does the same for animals. Having both maxed out, and at least six points of charisma, will make it possible to turn almost any monster in the game into your pet. This includes the Deathclaw, one of the gamer’s most deadly beasts. In a post on Reddit, Korindabar said it took him about three days of server hopping to successfully tame a Deathclaw and get it to go back and defend his campsite maze. Fortunately, pets follow the same PVP rules as players, so they can’t do more than slap damage to other players unless the other players shoot first.